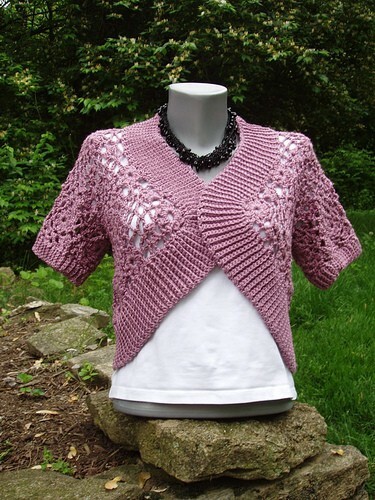 Way back in 2004, Kim Werker started a website called CrochetMe where group members could post their own crochet patterns on the internet without having to purchase hosting, website space, etc. It became very popular, very quickly. I don’t remember there being anything at all like it at the time. Remember that this was well before Ravelry which was formed in 2009. Of course, these days, CrochetMe is owned by F&W Publishing, but the original patterns are still available. Many designers you know today “cut their designing teeth” on CrochetMe and I’m certain that many of them will tell you that they might never have gone in the direction of crochet pattern writing at all if it hadn’t been for Kim Werker’s website. One of these designers I first remember on CrochetMe is Robyn Chachula. I know you guys all know Robyn. She has authored several books now, she has a website, she’s wonderfully friendly, she’s on Twitter and she’s been on television programs about crochet. This design was my first introduction to Robyn’s work. I decided to feature it today because it’s just as gorgeous today as it was so many years ago. Pick up your free crochet pattern from CrochetMe HERE. Free registration and sign-in is required. It’s also worth bookmarking Robyn’s blog post with photo tutorial help in the construction of this project HERE.